We already knew that Amazon is planning a Windows version of its Kindle e-book reader, but had no idea that it also has an OS X equivalent for Mac users up its sleeve. The news that the Kindle's tentacles will now stretch far and wide comes from the respected Business Insider, which heard the good word straight from the horse's mouth in the shape of an Amazon representative. While a Mac version of the Kindle reader alone won't make a great deal of difference to Kindle sales, the fact that all laptops are now capable of running the reader could do so. 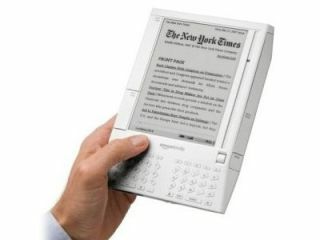 If Amazon continues to push the Kindle as an ideal device for students and their textbooks, having the option to view the same e-books they've purchased on a larger screen and study while writing a paper on that same computer, for example, could be appealing.